What is it Like to Be a Twin? 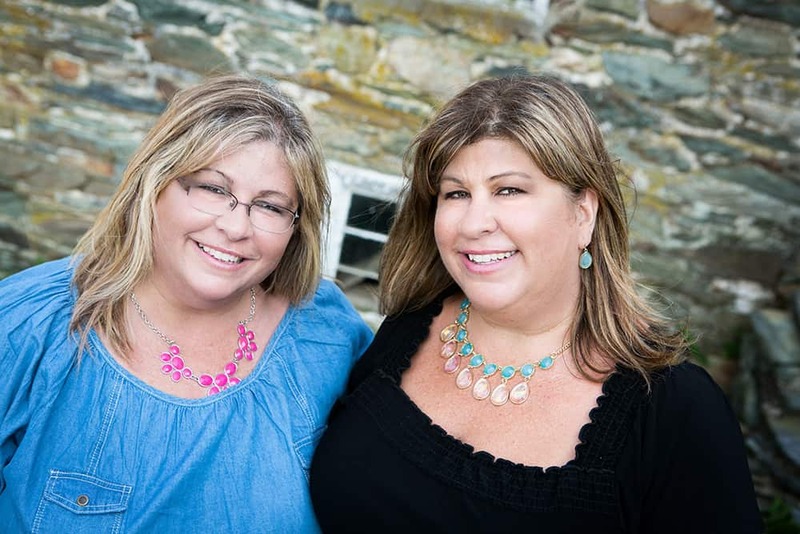 As most of you know, the two women who started Housewives of Frederick County – Pam and I -are identical twins. 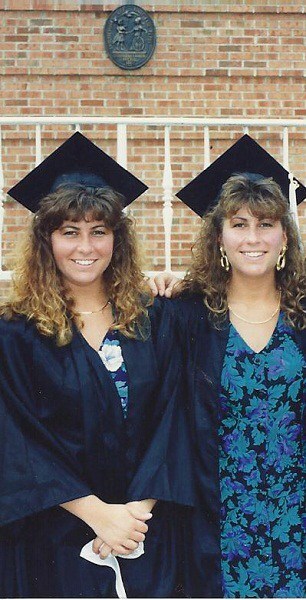 Obviously, being an identical twin is no big deal to Pam and me – we were born with each other and never knew any different. But, to many people that we’ve met in our lives, being a twin is fascinating! 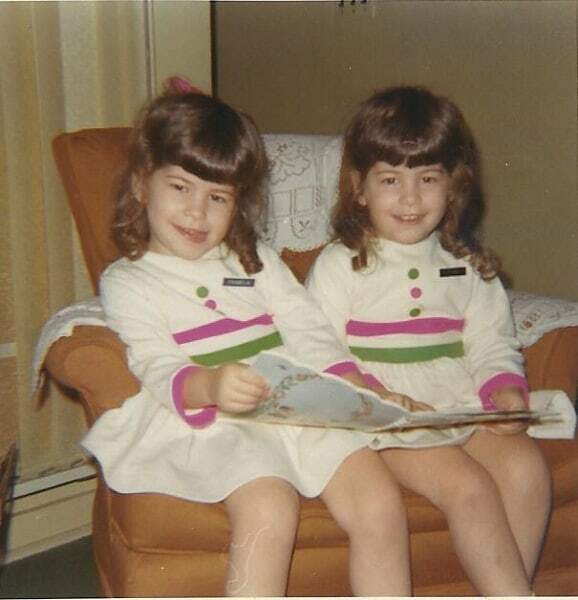 We have been asked, for as long as we can remember, many questions about what it’s like being a twin. Many of these questions are the same questions over and over from different people. Is it fun being a twin? The answer to this question is – hell yeah! First of all, we have gotten extra special attention all of our lives simply because we look alike (our brothers would argue that we are spoiled – no way :)). Especially when we were younger, and looked more alike, people who we didn’t know (like in a store, for example) would automatically smile at us. We just thought that everyone was so nice all of the time! Our mom dressed us alike until we finally realized that we could actually dress like individuals. We ALWAYS had a partner in crime and a best friend by our sides at all times! We had lots of fun tricking our teachers (most of the time they put us in different classes), friends, and even now can trick our husbands on the phone (our voices sound SO much alike)! If one of us had to make a phone call that we didn’t want to have to make, the other one “stood in” and made it for her. Do your names rhyme? 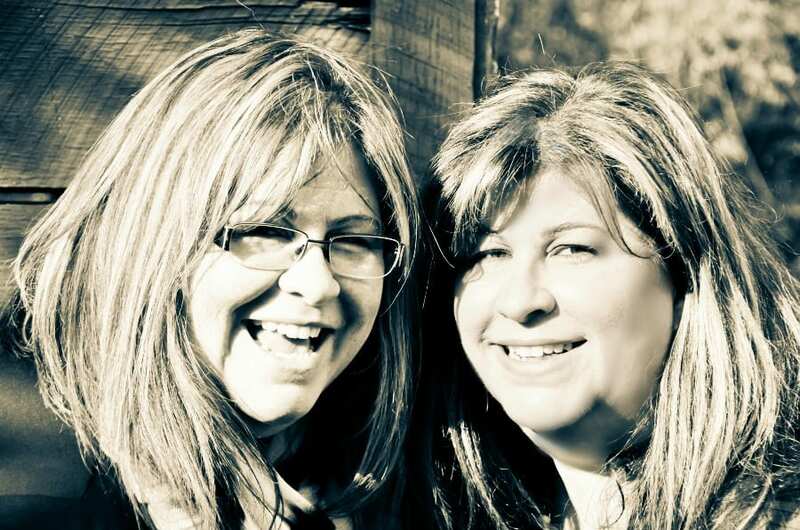 Well no, they don’t – mine is Terri and hers is Pam, BUT we have heard our share of nicknames for us! When one feels pain – does the other? Sorry to disappoint, but that doesn’t happen with us. But, I can tell you, though, that when one of us is hurting emotionally it affects the other one of us tremendously. There have been several times in my life when I have been depressed because Pam is depressed. Also, we ALWAYS know when something is wrong with the other one, even if the other one is trying hard not to show it. Do you think that you were the original Pam, and Pam was the original Terri and you accidentally got switched after you were born? This is a great question – anything is possible! When we are singing to a song together, Pam mostly hears the low part of the song, and I mostly hear the higher part of the song – so we end up harmonizing! There are lots of activities that Pam does mostly with her right hand that I happen to do left-handed. We are both somewhat ambidextrous, but ultimately we consider ourselves left hand dominant. We have noticed that a few of our “marks” – like moles (ew) or more noticeable freckles are in the exact same place but opposite sides of our bodies. We both have different talents and things that we’re better at. We joke with each other that together we are the perfect person – LOL! Which one of you is older? That would be me (Terri)! I am 12 minutes older and don’t you forget it – I must say that I am SO much more mature than Pam – tee hee! Do your kids look alike? Both Pam and I have boys (I have 2 and she has 1). Many people have told us that they do resemble each other. The funny thing is, her son resembles me and one of my sons resembles her. I know that sounds funny because we are twins, but there are certain physical differences between us and these difference have shown up in the opposite twin’s child! Did your parents raise you to be very much alike or did they stress individuality? 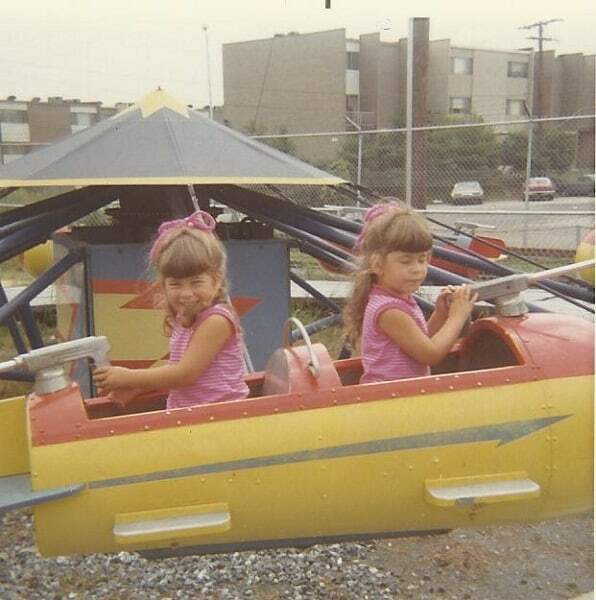 My mom absolutely LOVED raising twins and took full advantage of being able to dress us alike! So, I would say that we were raised to be very much alike. We grew up sharing a lot of things too, even up to our first car. We shared an orange, Volkswagon Beetle. At the time, it got to be aggravating to have to share a car – especially as we began to develop our own interests, but looking back – those were some of the best times of our lives! How do your husbands feel about being married to a twin? Well, I guarantee that they have compared notes in regard to each of our ideosyncrasies (yes I had to look that word up to spell it correctly)! Both of them have told us that it can be tough to get through our bond. They both feel, as much as we have tried to not make them feel this way, that I “rank” higher with Pam than her husband does and vice versa. There are some cons, though, to our close bond. We have often said to each other that if anything happened to the other one, that the surviving twin would have to be put in a rubber room! So, those are a few answers to what it’s like to be a twin. Both Pam and I wouldn’t trade it for the world. Even though we sometimes feel like a “freak show” when people look at us or are amazed by how much we sound alike, the pro’s SO outweigh the con’s! We are sisters, twins, best friends, allies, protectors, biggest fans, motivators and the list goes on. How lucky are we to have been blessed with this gift? Why thank you big bro! Believe it or not, people ask the same thing of me and my twin brother. After they ask if we are identical. I think this is my fave post so far! Thanks for the inside scoop on the life of a twin. U guys r so lucky and i am lucky to have u guys as friends! Luv u gals. Thank u so much Celeste! Pam and I have both talked about how lucky we feel to have u as a friend too!!! Thank u! Oh my gosh – congratulations!!! U will have so much fun with twin grand babies! This was one of my favorite articles; I love the touge-in-cheek stuff you threw in too. I’ve known you since you were born and still learned alot by reading this. It was great! I loved reading this! 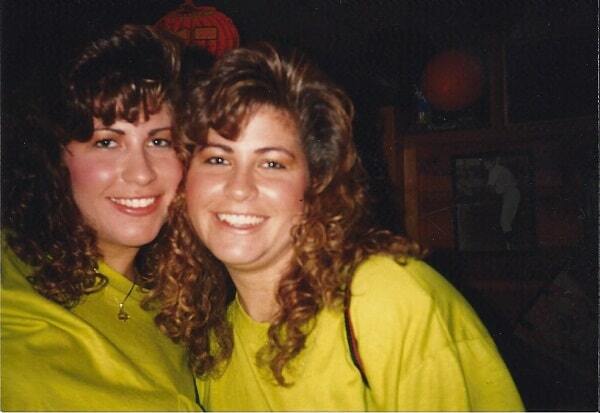 I am also an identical twin. As I was reading this I could relate to all your answers. My twin and I live many miles apart but still when someone yells out “Jennifer” I will automatically look from being called her name for many years. I totally enjoyed this! Thank you Jacqueline! That is so funny that you automatically look when you hear your sister’s name. We do the same thing. LOVE being a twin!